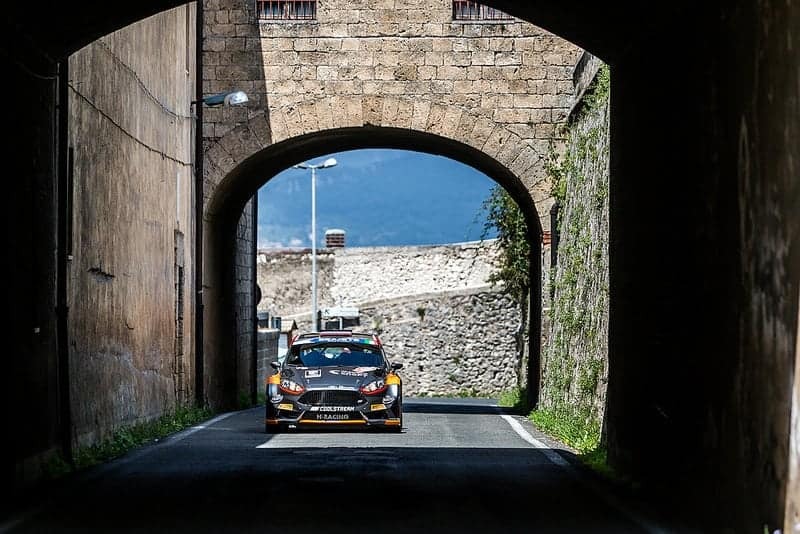 Alexey Lukyanuk took command of the European championship Roma Capitale Rally, an event which also ran as an Italian championship round and one of the five rounds of the FIA R-GT Cup. Nikolay Gryazin was lying second until he was delayed with power steering trouble, Simone Campedelli took took the second place from Gryazin, but had a double puncture before Giandomenico Basso stole the second place again. Umberto Scandola had a spectacular exit when he lost control of his Skoda just after leaving the start of the third stage. Rafael Astier was the only R-GT car which finished the first leg, the British driver Chris Ingram reached fourth, and was the leading FIA Under 28 Junior (R5) driver before his car was damaged by a rock in the road and punctured. Fabian Kreim then took over the lead. In the FIA Under 27 Junior (R2) category, early leader Simon Wager crashed and Martins Sesks took the lead, challenged by Sindre Furuseth, before he had a serious engine misfire. Second placed Basso pressed Lukyanuk hard. On the first stage of the second loop, the stage was blocked when Andreucci crashed (second time in nine days), and Astier reported transmission trouble in his Abarth 124. Basso was unlucky: his challenge for victory was put invidiously in the hands of the organisers who had to decide nomimal times for him, and the now third placed Grzyb. The rally still was not over. Towards four hours after the final orthodox stage there was a very short super special outside Rome , and delays earlier meant it was running over a half hour late. Finally, after yet more delays to allow the drivers time to walk around the 650 metre course to make notes, the rally set off in the fast diminishing evening light. Ingram continued his recovery and eventually reached sixth place behind Kreim and Magalhaes. Kreim took U28 and Sesks won U27, but Kristensson fell behind Efren Llarena. 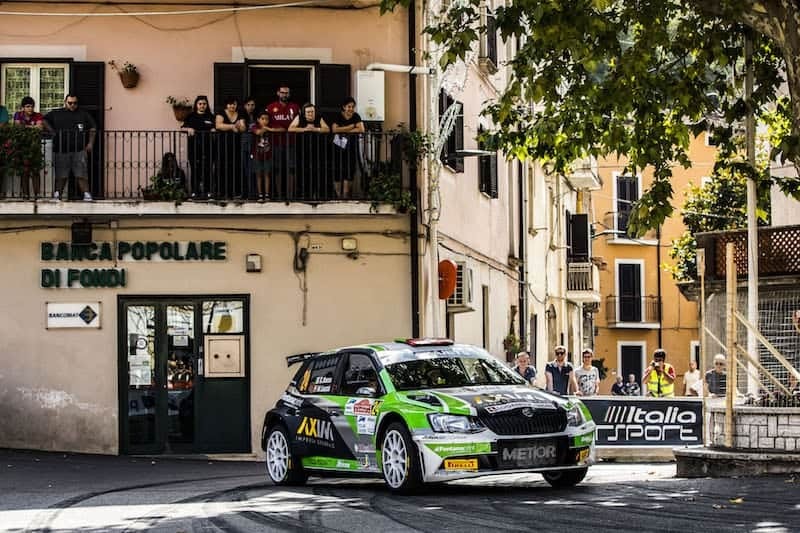 The top Italian was Giacomo Scattolon (Fabia R5) and Astier took top FIA R-GT points. The next round of the FIA European Rally Championship is the Barum Czech Rally in one month’s time.